Although Bachelor alum Astrid Loch was sent home during week five of Nick Viall’s season of the series, it’s unquestionable that the brunette beauty from Tampa, Florida became an instant fan-favorite. The 28-year-old plastic surgery office manager was born to a Romanian mother in East Germany prior to joining the show. Although Loch was not a competitor on the franchise for long, she won over fans’ hearts with her humor and wit, most likely stemming from her studies of communications at the University of North Carolina. Tomorrow, Loch returns to the small screen on Bachelor in Paradise to attempt to find love once again. In an exclusive interview, we discussed her exciting journey on The Bachelor and the biggest lesson she’s learned along the way. Why did you initially decide to submit for The Bachelor? My friend--who had been watching the show for years--actually submitted me. The first season I watched was Jojo’s in order to familiarize myself with the franchise as I was going through casting. What was your favorite place to visit while you were on the show? Unfortunately, the only place I got to travel to was Wisconsin. As a Florida resident, I was freezing the whole time, and I can't say scooping cow poop was a great experience...I doubt I'll ever return. Who was your closest friend during your time on the show? My closest friend in the house was definitely Kristina [Schulman]. Initially, our mutual love for wine brought us together and from there, we quickly became inseparable. To this day, I still talk to her, as well as Rachel [Lindsay], Alexis [Waters], Raven [Nicole Gates], Danielle [Lombardi], Jasmine [Goode], and Sarah [Vendal] on a daily basis. What was your favorite group date you went on? My favorite group date I went on was the track and field date--Carl Lewis and other Olympic athletes were there! It was so much fun competing in different competitions and Carl was a blast to be around. I think the girls had more fun hanging out with him and each other than they did with Nick on that date! Astrid getting cozy with Nick on the track and field date. What’s your opinion of Nick at this point in time? Although he’s not my type, I think Nick is a pretty interesting person. He was easy to hold a conversation with and I can see how his dorky personality could be appealing to some. I'm not sure that any of the girls in the house would have been a long-term match for him, though. What was the biggest lesson you learned as a contestant? I think the biggest lesson I learned was that I need to make more time for myself rather than constantly trying to help other people. I spent so much time giving advice to other girls and trying to help them figure out their relationships that I didn't focus enough on my relationship with Nick. This is something I do in real life as well, but I am starting to get better at putting myself first. What have you been up to since the show ended? Following the show, I went back to my job as a patient care coordinator for Dr. Soler, a plastic surgeon in Tampa. I am getting to travel a lot more now due to the show and the many opportunities it has brought me. But for the most part, life has gone back to normal, with the exception of me now being a die-hard Bachelor fan. How do you plan on using your celebrity as a positive platform? One of the things I am most passionate about is helping children with terminal illnesses. My stepdad is a pediatric oncologist and through his work, I have been able to volunteer for a camp in California called Dream Street for nine years now. Since being on the show, I have tried to plug this special foundation whenever possible to help raise money. I have also helped out with events for the Children's Cancer Center here in Tampa, which has a similar mission to Dream Street. You can also support Dream Street and the Children's Cancer Center (the charities that Astrid works with) by donating at www.dreamstreetfoundation.org and www.childrenscancercenter.org. 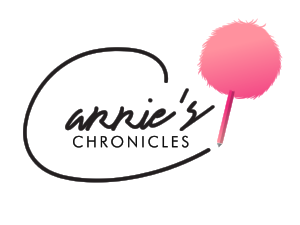 Teen Choice Awards '18: Celebs Choose Carrie's Chronicles!